Now, you might be wondering what IGTV is. Basically it's a new long form sharing service that's provided by Instagram. We are going to look at how you can get started with IGTV. There is a whole new app for it, but if all you want to do is watch the videos you can do that through the Instagram app. You can upload videos anywhere in length between 15 seconds and 10 minutes. If you have a verified, or large, account you can upload videos up to an hour in length. If you are going to download the IGTV app you don’t have to set up a new account as it pulls everything into it from Instagram. Like any of the new platforms that come out, I think it is good to check it out and see if it can fit into the marketing plans for your business. We don’t need to be doing everything that is out there. Just use the platforms that make the most sense to you and your audience. Get on there, watch some videos and have a bit of a play around. I found the experience slightly weird as it feels like I am watching a live stream when I watch the videos and then to upload my own, it felt the same as when I do a live stream when I recorded it, but I was only recording it to my phone and then uploading it. You could edit your videos and make them really polished and you will see in the video how Chris Ducker is repurposing content on the platform. I don’t think I am going to use it for polished videos, I will continue to do those on YouTube. What I think is the biggest draw is that you can add a link to the description, which makes it very easy for people to be invited to visit other content or your other channels. It has always been one of the things I find hard on Instagram, as well in Instagram stories (as I don’t have 10 000 followers), not being able to direct people anywhere else. 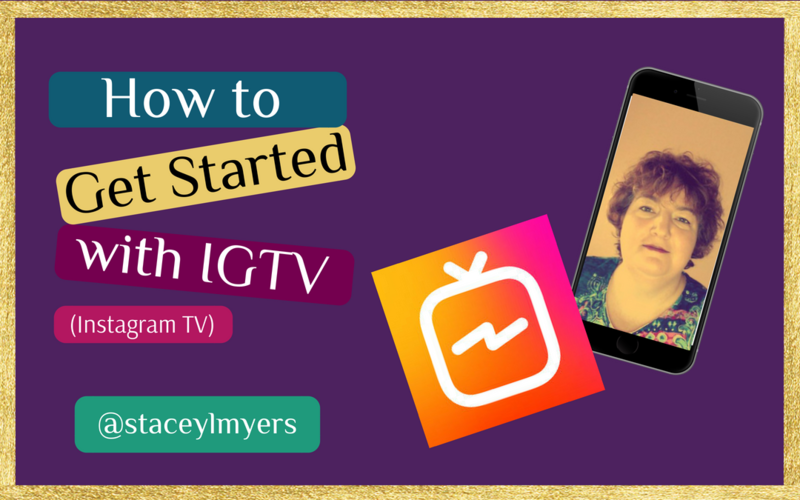 In this video I take you through how to get started with IGTV, whether you want to be a viewer or creator on the platform. I would love to hear if you are going to use IGTV as a marketing tool in your business. You have all of this wonderfulness to share so you write a blog post. You press publish and it looks amazing, even if you do say so yourself. Now to get the word out about it. Twitter is a magical place to get more exposure for your blog posts. One thing that people do a lot more of on Twitter than they do on Facebook is click – they are more likely to click through to a blog post, or click through to an article. The other great thing about Twitter is that you can also tweet out more often. You can’t bombard people on Facebook, Instagram or LinkedIn every day with 3 or 4 links to your latest blog post, but you can definitely tweet it out more often on Twitter. Not only can you share your new blog posts but you can tweet out your old ones as well – more on that later. Let's have a look at 11 ways you can ramp up your blog promotion strategy. If you would prefer to watch a video than read scroll down to the bottom of the page. Using appealing images is really important because this is what's going to catch people's eye. Once you've caught their attention they're more likely to read what you have posted. You know what it is like – you are flicking through your Twitter stream (usually on mobile) at a rapid pace and only stop when something catches your eye. Also, use different images for the same blog post as different things catch different people's eye. What are tweetables? Tweetables are little words of wisdom from your blog posts. You want to keep them short and sweet, at about 100 characters. That way people can retweet them and still have room to add their own comments or tag other people. There are a few ways you can use them. Post them straight onto Twitter without a link, as a tip, and you can use a hashtag or add a link back to your blog post with it. Tweetables are also great to add to an graphic or image. To find Tweetables, read through your blog post and find little tips or information that would make sense as a stand alone point. We've already talked about tweetables and the ‘Click to Tweet’ plugin is a great addition. 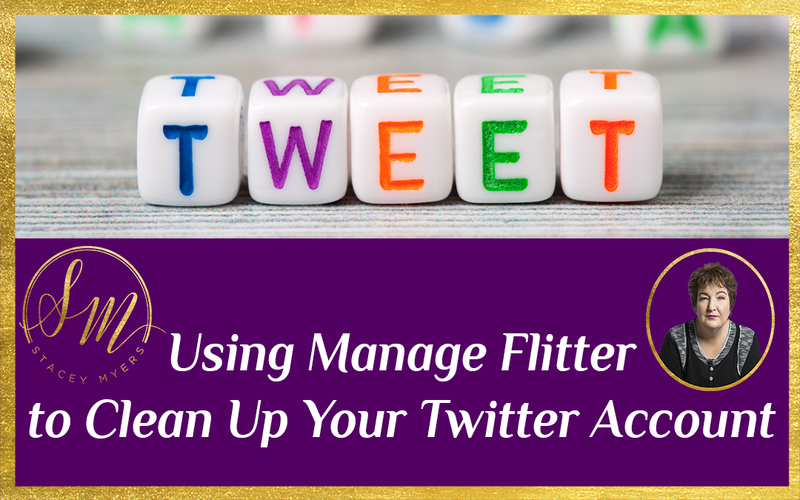 It is a handy little tool that makes your tweetables easy for other people to tweet out, straight from your blog post. They click on the words or an image and it opens up in a little separate window with your tweet already written in it. Then all they need to do is click on the tweet button, and away it goes. Make sure you add your username to the tweet so you know when people have tweeted it out and you can go and thank them. There are various plugins out there you can use, There's the official ‘Click to Tweet‘ plugin or CoSchedule has one that you can use as well. I personally use a plugin called Social Warfare as it has the click to tweet option as well as various other functionality. It is a premium plugin whereas the other ones are free. There are a lot of different plugins that do the job, if you don’t like any of those just do a search and you will find others. One of the traps we sometimes fall into is that we write our blog post, share it with the current title and then that is it. The more different headlines you have the more often you can promote the same blog post. We already talked about using tweetables from the post, with a link back to your blog. You can also just change up the headlines. If you struggle to write headlines there are different tools that can help. Portent has one and there's another one called Kickass Headline Generator. If you don’t like either of those you can do a quick search for headline analyzer or headline creater and you will have many options to choose from. Different words are going to resonate with different people so you want to create as many options possible for people to click through to your blog post. You did, after all, take all the time to write it youpost and want as many people to read it as possible. You want to make sure that you are constantly retweeting your content. 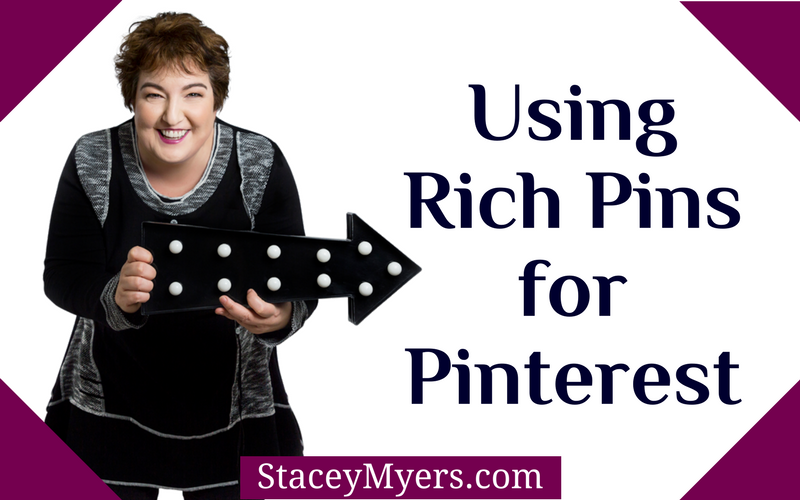 There are some great tools out there that you can use to schedule and repost your blog posts. There's Hootsuite or Buffer. I use eClincher. Simply upload the tweets and schedule them out. Some systems, like eClincher, recycle your content. You only need to add it once and then it continuously posts out your tweets. If you are using Hootsuite or Buffer you will have to re-upload the tweets, as it only tweets each post out once. You can also use a plugin for WordPress to help you with this. The most common is call Revive Old Post. You can choose which posts you want to go out, and then it will automatically post them out at set intervals – be that every hour, every four hours, once a day. You can choose which categories you want it to share from if you don’t want it tweeting out all of your blog posts. Regardless of which option you choose make sure you are sharing out old blog posts. After writing some new headlines and creating tweetables you will have a lot of different ways that people can find out about your blog posts. Again there are a lot of options for these. As I mentioned earlier I use Social Warfare. There are also free options like Shareaholic or the many other options on the WordPress social share buttons page. They all pretty much do the same thing. Basically people click on the link and then a pre-populated post appears which they can share out onto their preferred platform. Make sure when you are setting your account up for Twitter that you add your username. That way you will know when someone has tweeted it and then you can see who it was and thank them for it. Pinning a post at the top of your feed is a great way to gain exposure. Again you want to be using a really great graphic and then you can pin the tweet straight to the top of your feed. The first time people come to your profile that's the thing that they're going to see. It is easy to do and you can change it out as often as you want. Have one of them a link straight through to a blog post so people can easily click on the link and go straight to the post you want them to see. I’m definitely guilty of not using hashtags to their full advantage. Twitter and Instagram are the platforms that use hashtags the most. If you don’t have any hashtags that you use already then you want to start to take notice of the hashtags that people are being used in your niche. Check out the hashtags the influencers in your niche are using. No one owns a hashtag. So, if someone else is using a hashtag that you'd like to use as well, you can use it. The tips ones, like #Twittertips that I use or #socialmediatips, #beautytips, any of those kinds of ones you can freely use. If you can see that someone's hashtag is pretty much personal to them and their brand, I wouldn't go piggybacking on the top of that or it could get you into trouble. But any of the ones that loads of people are using you can definitely use. You can research hashtags on Twitter by looking at people’s accounts and tweets, by using the Twitter search functionality or by using one of the various hashtag website that help you see which hashtags are popular. Hashtagify.me or Hashtags.org are a couple of good options. If, in your blog post, you have mentioned someone or linked to their blog post you can sent them a tweet letting them now. Please note: I said tag relevant people. Don't just tag people, it is really rude and quite spammy if you tag random people so they can find out about your post. People do it to me all the time and it drives me nuts. Only tag people with your blog post link if you actually mentioned them in your blog. You can send them a tweet to tell them that it's in there, or you can tag them with something like, ‘Here is one of Steve's greatest tips about marketing your business on my latest blog post'. You can use something like that and then tag him with his username. That would be completely appropriate – randomly tagging people is not. I know this one can seem a bit scary, but the rewards are well worth it. You can create little video snippets – a bit like tweetables – from your blog posts. You can upload videos to Twitter that are up to 140 seconds (2 mins 20 secs) long. You can also link to longer videos that are hosted somewhere else. I am doing a similar concept with this blog post, except it is a little back to front. I already created a video (which you can find below) and have now written a blog post using the same content. I will then take these blog post ideas, break them down individually and create smaller videos, and social media posts, for each one. I will then put the videos up on Twitter and also on my YouTube channel. If you don’t want to have your face on video you can take a certain tip, create a graphic for it using canva or powerpoint, put it up on your screen and record your screen while you talk over it. All the viewer sees is the tip on the screen, not your face. This is a great way to get started if you are a bit shy. If you feel a more confident you can do some live streaming and share your blog post that way. You can take a piece of your blog post, or you could share your entire blog post – the choices are endless. There are so many different strategies you can use to help you get more exposure on Twitter, and of course the other social platforms as well. I would love to hear which ones you are going to give a go. Twitter widgets are great for social engagement, as your visitors can engage with your Twitter content without ever leaving your website. This is really great for added visibility. They can reply, retweet and favorite tweets live on your blog. How cool is that? Go to ‘Settings’ in your Twitter account by clicking on the small profile image on the top right hand side. In the drop down menu click settings and then click widget. You will end up with something that looks like this. Click on Create new. In here it doesn’t matter which of the top 4 you choose as they all take you to the same page. We'll go through each of them, learn how to create them and what they're going to look like on your website. Click on Profile and a new window will open. This is what an embedded tweet looks like. Notice that you can interact live with the tweet inside the blog post. You can like, retweet, share and reply directly through the tweet. As mentioned earlier this is great for social engagement right on your blog. To embed the tweet, find the tweet on Twitter. Click on the tweet, not the image. It will open out in a pop up window and you will see the unique link for that tweet. Copy that link and go back to the ‘What would you like to embed?’ page and paste it in there. Please note that there are other ways to embed a tweet – I am only showing you how to do it using the widget tool in this post. It will give you a preview of what the tweet will look like and the embed code. We will cover what to do with the embed code once we have covered all the options. Either copy and paste or type in your username. It is the Twitter website with your username. Mine is www.twitter.com/staceylmyers. Once you put it in you will get three options. 1. Embed Timeline – this is my timeline embedded into the sidebar or my website. You will want to customise the length of your Twitter feed or it will go down the entire length of your blog. Just above where you get the code you can ‘set customization option’. Set the height of your feed there. I have mine set at 700. 2. Follow Button – Visitors to your website can follow you with one click. 3. Tweet to Button – When this button is clicked on it opens a tweet with your username already in it. This will show the tweets of all the people you have on a list. If you don’t know how to create lists on Twitter I show you how in this video. Once you have created the list, copy and paste the list web address – just like we did for the tweet – embed it, and away you go. This will be a list of everything you have liked (used to be favourited). To find this, go to your profile and click on likes. Copy and paste the web address like we have done before. It will look like this www.twitter.com/staceylmyers/likes. This one will give you the same options as the profile one. Now that you know how to create all of the widgets we are now going to look at how to embed them into your WordPress website. Every time you create a widget you get a distinct code for it. To add it to your WordPress website is pretty much a copy and paste job. We are going to cover adding the embed code into a blog post or page (the procedure is the same) and into the sidebar of your site. Open up the blog post you would like to embed the tweet or timeline into. You do need to add the code to the html part of your post. To get there will depend on what editor you are using. Either click on the HTML tab or the Source button – you may have one or both of them. If you have both it doesn’t matter which one you click. The HTML code might look a bit like gobbledygook but you can still read what is there. Scroll down until you find the section in your post that you want to embed the code. I scrolled until I saw the words ‘seconds to tweet’ as I knew I wanted to posted it directly under that. You then paste it in. It will show the actual tweet in the post once you publish it. In your WordPress dashboard click on Appearance and then Widgets. The right hand side of your widget area will look different depending on what theme you are using. For me, I put everything in the Blog sidebar section. To add the code you want to drag over the widget that says ‘Text’ and add it to the sidebar you want to use. You can use this for text or HTML. Paste in the code and press save. Here is the tweet in my sidebar. If you look on the sidebar of my website you will see how I use the timeline and follow widgets. You won’t see the lizard – I just thought it was beautiful and used it as an example. Congratulations! Now you know how to embed a Twitter widget in your WordPress website. I would love to see how it turned out – share your website in the comments and I will go have a look! Here is the video of how to embed all of the widget types (including the collection).